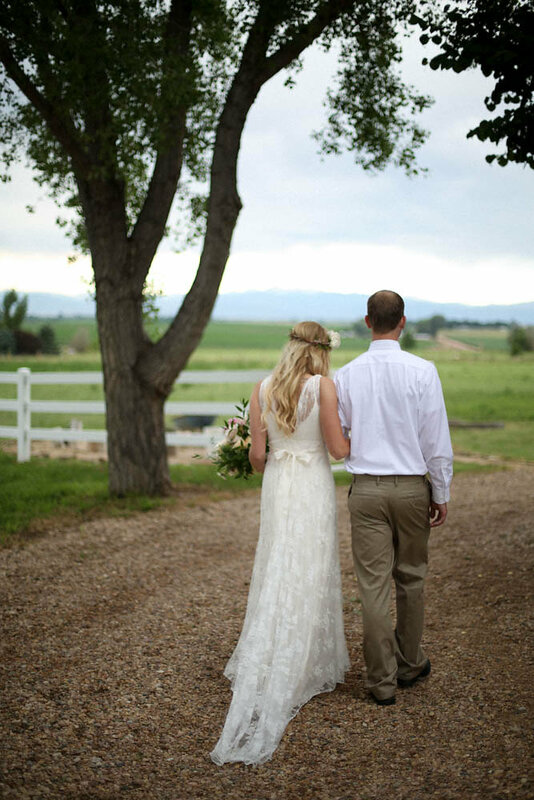 Courtney and Joe's wedding outside Ft. Collins, Colorado, is a bohemian backyard dream come true. It's the perfect example of how to do a no-frills wedding in a beautiful and meaningful way. Clearly focused on the love for each other and of their family and friends, Courtney and Joe's wedding isn't lacking in gorgeous details, from the dreamy carnation curtain for their ceremony to the classic sparkler sendoff. Courtney chose a Charlie Brear silk sheath and delicate lace overlay for her bridal look. Charlie Brear is England's go-to designer for boho chic style mavens who want a balance of comfort and beauty. We are so proud to be one of Charlie Brear's exclusive retailers in the United States, and can't imagine a more perfect look for Courtney! Wishing a lifetime of love to Courtney and Joe! 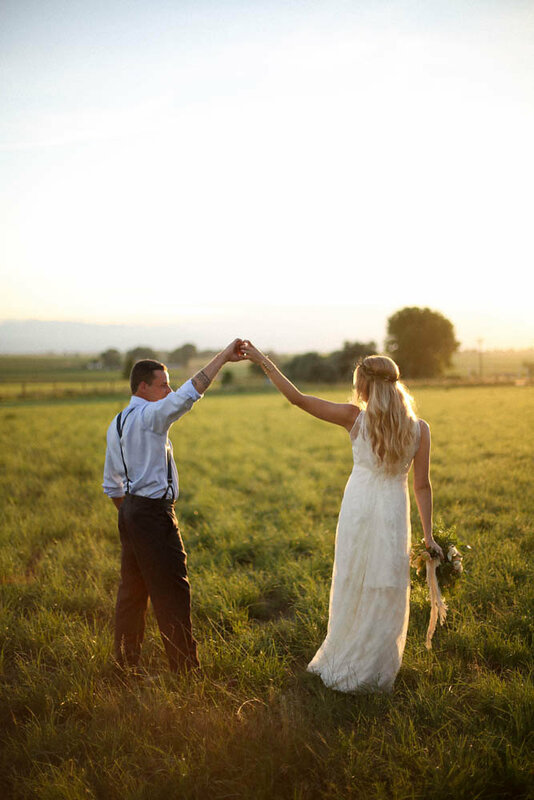 Many thanks to their photographer, Jamie Fischer, for sharing their beautiful wedding with us. Don't miss this wedding featured on Junebug Weddings!